On Tuesday, 12th of April 2016, His Excellency, Governor Akinwunmi Ambode visited the new site for the relocation of the Oko Baba Sawmill Market, Governor Ambode commended the contractor for the work done so far, assuring that project will be delivered before the end of September 2016. 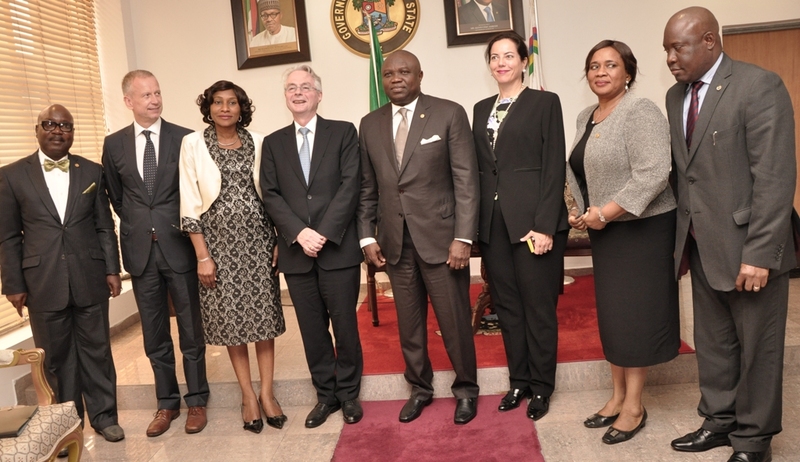 During the inspection process, Governor Ambode said the project will ensure that the Ebute Metta – Third Mainland Bridge loop which is currently an eyesore will be cleaned up, saying that the traders are excited and looking forward to moving to the new site. “There is no form of resentment from the traders, they are excited about this place. I am assured that before the end of September, we would have commenced operation in this place. I must commend the ministry officials also that we should remain steadfast so that this project becomes a reality before the end of September,” he said. Lagos State Governor, Mr. Akinwunmi Ambode on Tuesday, 12th of April, 2016, inspected the new Imota site, proposed for the relocation of the popular Mile 12 Market, where he assured that work will commence on the site next week. The Governor who was accompanied on the inspection visit by top officials of the Ministry of Physical Planning and Urban Development and members of the State Executive Council said the relocation of the market became necessary following the recent clash in the area, just as he directed the Ministry to move to site and commence work on the market immediately. He however expressed optimism that the relocation will drive commerce and investment into the Imota area, urging residents to gear up to receive the vast number of visitors that will visit the market. “We are all aware that we had a little crisis at Mile 12 Market in Ketu recently and here is the new site that we are relocating Mile 12 Market to. “So, our new commodities market would take off from here and so I like to give the Ministry of Physical Planning the directive to commence activities here within the next one week. We believe that if we start within the next seven days, within the next six months, Mile 12 Market Ketu will be a thing of the past. “We are committed to doing this. 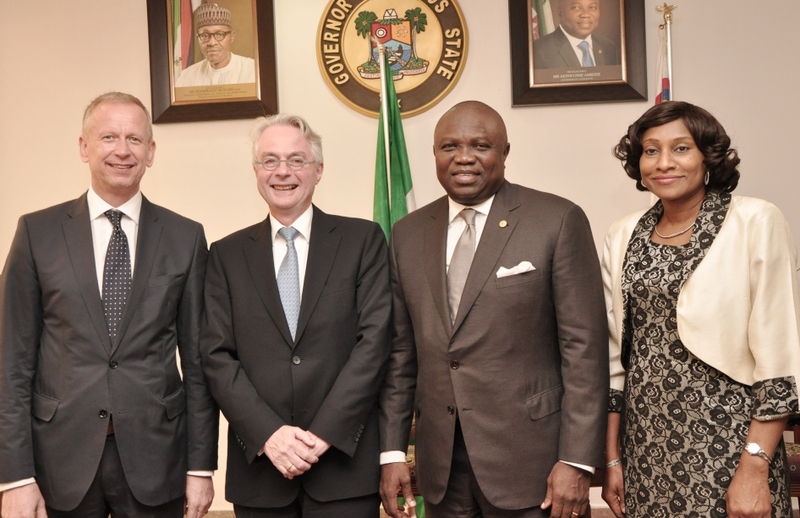 We know it is in the interest of all Lagosians that we relocate Mile 12 Market. The marketers themselves have agreed; the onus is now on us to ensure that we deliver this new market within the next six months. “I want to appeal to people in Imota that you will be having new set of investors; new set of traders and then new set of tenants. 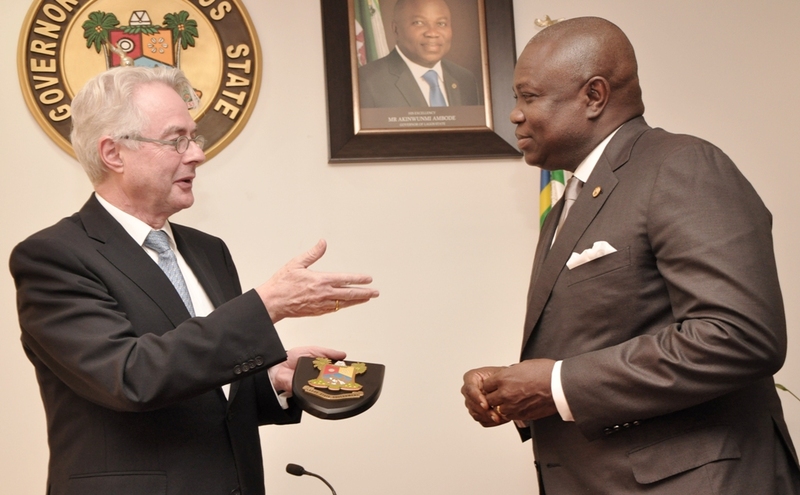 You should be very accommodating because we are bringing a whole lot here,” he said. 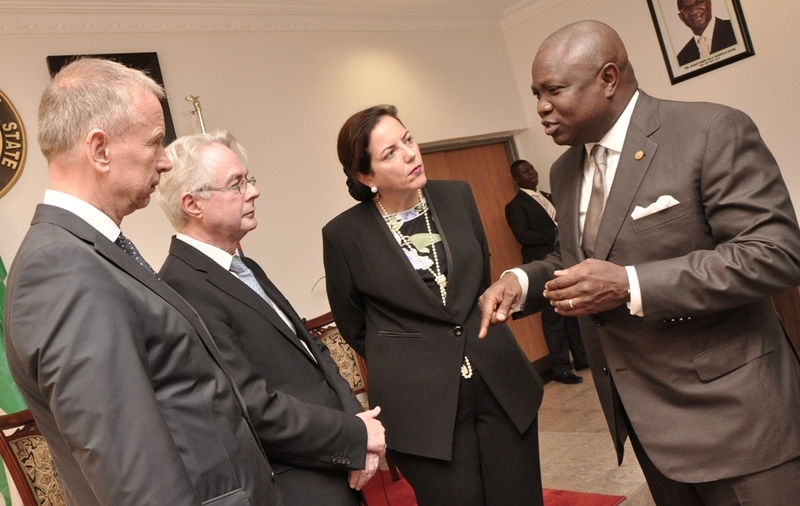 Governor Ambode also assured residents that the State Government will consider the possible expansion of the road network around the market and connecting the Ikorodu and Epe area, saying the relocation of the Mile 12 Market as well as the Oko Baba Sawmill Market to the axis will have multiplier effect on the Lagos economy. “We are on our way to Agbowa now. We intend to relocate Oko Baba Market in Ebutte Metta to Agbowa and so this axis will be a big axis for commerce, for employment and then for prosperity and that is what we want for the rest of Lagos,” he said. A lawmaker representing Ikorodu Constituency II at the Lagos State House of Assembly, Nurudeen Saka-Solaja, expressed gratitude to the Governor for the proposed relocation of the Mile 12 Market to Imota, just as he urged the government to commence the project in earnest. 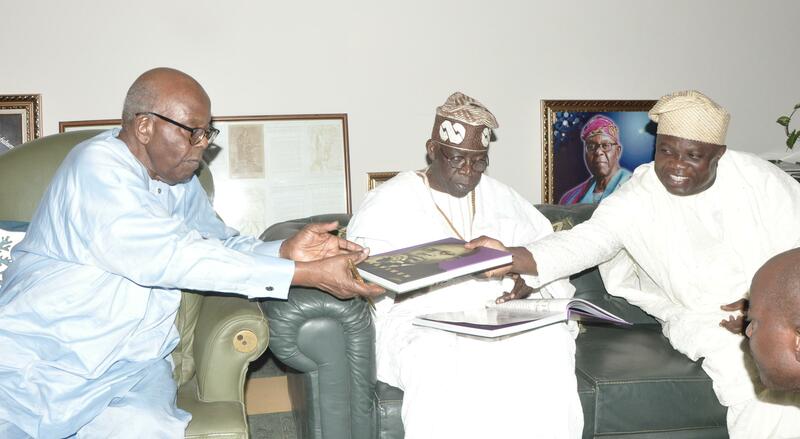 Also speaking, the Ranodu of Imota, Oba Adeniyi Agoro, thanked Governor Ambode for considering the area for such laudable projects, assuring that the residents will cooperate with the government to ensure the success of the projects. 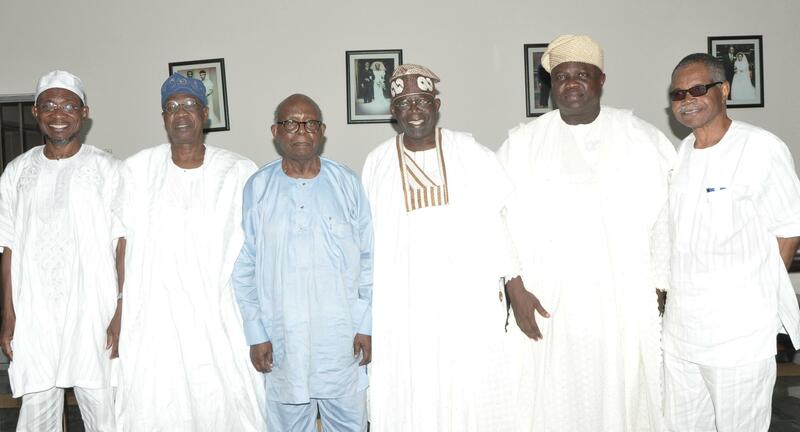 L-R: Lagos State Governor, Mr. Akinwunmi Ambode (2nd right) with his Osun State counterpart, Ogbeni Rauf Aregbesola, National Publicity Secretarty, All Progressives Congress (APC), Alhaji Lai Mohammed, Afenifere Leader, Pa Olaniwun Ajayi, National Leader, APC, Asiwaju Bola Tinubu and Vice Chairman, South West APC, Chief Pius Akinyelure during a courtesy visit to Pa Olaniwun at his Ijebu-Ishara residence in Ogun State, on Sunday, September 20, 2015. 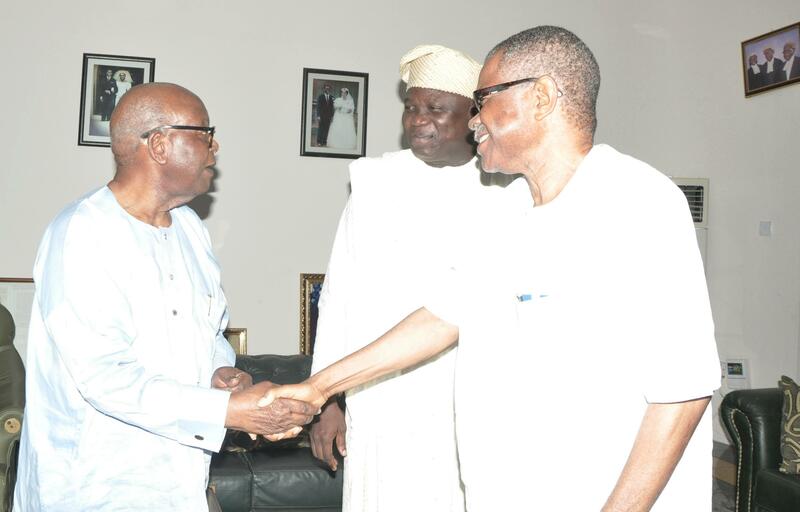 Lagos State Governor, Mr. Akinwunmi Ambode (middle) with Afenifere Leader, Pa Olaniwun Ajayi (left) and Vice Chairman, South West APC, Chief Pius Akinyele during a courtesy visit to Pa Olaniwun at his Ijebu-Ishara residence in Ogun State, on Sunday, September 20, 2015. 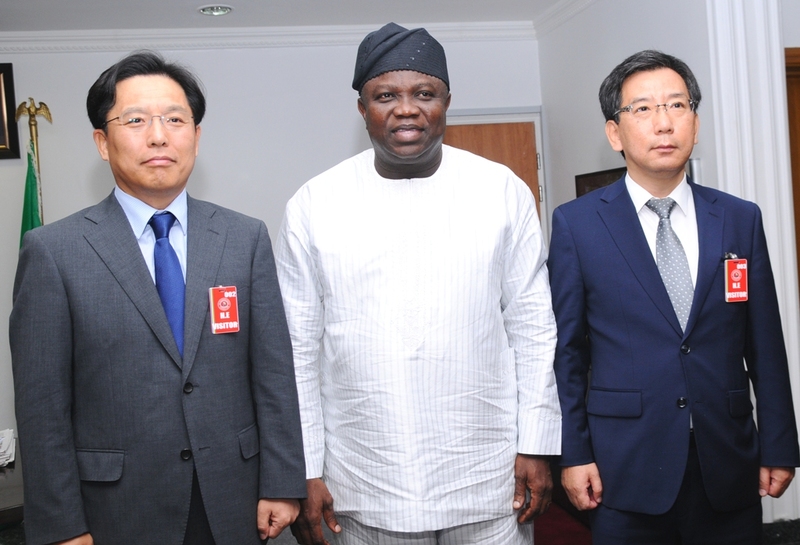 Lagos State Governor, Mr. Akinwunmi Ambode (middle) flanked by the Ambassador of the Republic of Korea, Mr. Noh Kyu-Duk (left) and the Consul General, Embassy of the Republic of Korea in Lagos, Mr. Younghoan Lee (right) during the Ambassador’s courtesy visit to the Governor in his Office at the Lagos House, Ikeja, on Friday, September 11, 2015. 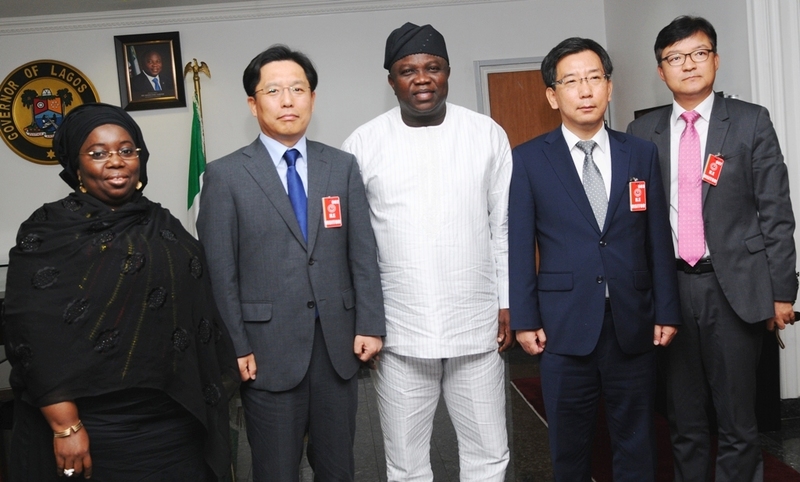 Lagos State Governor, Mr. Akinwunmi Ambode (middle), his Deputy, Dr. (Mrs.) Idiat Oluranti Adebule (left), the Ambassador of the Republic of Korea, Mr. Noh Kyu-Duk (2nd left), the Consul General, Embassy of the Republic of Korea in Lagos, Mr. Younghoan Lee (2nd right) and the Counselor/Economy, Embassy of the Republic of Korea, Mr. Dae-Sup Lee (right) during the Ambassador’s courtesy visit to the Governor in his Office at the Lagos House, Ikeja, on Friday, September 11, 2015. 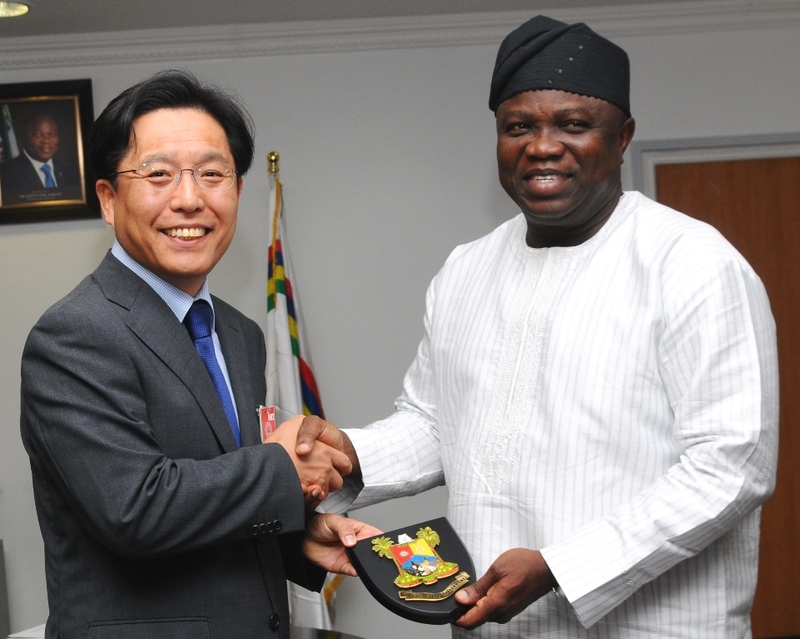 Lagos State Governor, Mr. Akinwunmi Ambode (right) presenting a state plaque to the Ambassador of the Republic of Korea, Mr. Noh Kyu-Duk (left) during a courtesy visit to the Governor in his Office at the Lagos House, Ikeja, on Friday, September 11, 2015. 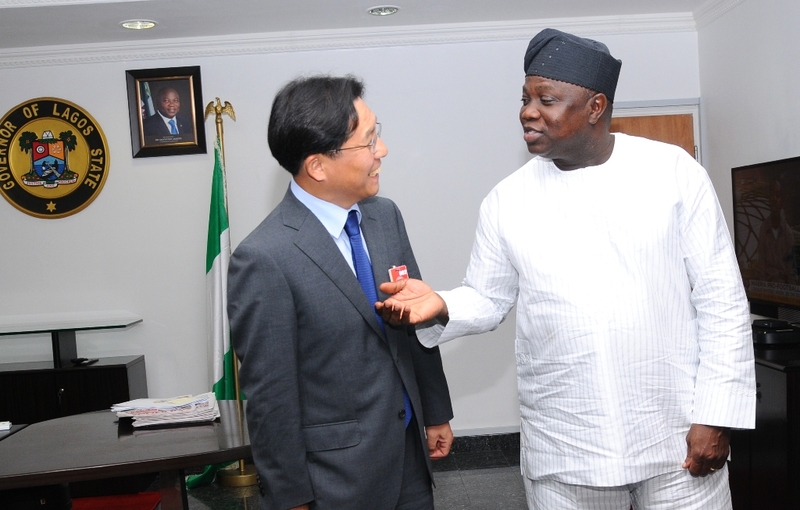 Lagos State Governor, Mr. Akinwunmi Ambode (right) discussing with the Ambassador of the Republic of Korea, Mr. Noh Kyu-Duk (left) during a courtesy visit to the Governor in his Office at the Lagos House, Ikeja, on Friday, September 11, 2015.